Tools that most journalists take for granted can pay off for their news organizations on stories big and small. Dave Schultz, assistant editor of the the Bluffton (Indiana) News-Banner, was reminded of that last Thursday when he got an email tip that a local retired teacher had been on national TV. Schultz first went online to confirm the story: sure enough, a woman from Bluffton (population 28,000) had indeed been one of two people chosen at random for that morning’s Today Show “Ambush Makeover.” After watching the NBC video online, Schultz asked reporter Jerry Battiste to help him contact the woman and her husband. As Schultz tells the story in a recent column, it only took about 20 minutes for someone to provide the number he needed and he was able to reach the couple in New York via cell phone. So let’s review: an e-mail, a Web site visit, the viewing of an online video (which we posted on our “On The Beat” blog on our Web site), the use of social media (Facebook and Twitter) as a way to get information, a response, and a cell phone call…Would any of these things have been available to us in 1989? Not at all. Not an e-mail. Not a Web site visit. Not Facebook or Twitter. Not a cell phone call. Okay, so the story itself wasn’t that big a deal. But Schultz says he stands amazed at how quickly they were able to confirm, report and file an online exclusive. There are some universal truths about good journalism: It’s hard work and it’s vitally important in a democratic society. But it also can be hard to pigeonhole what it takes to produce good journalism, and that’s not a recent development. Frost/Nixon, the fictional retelling of David Frost’s 1977 interviews with ex-President Richard Nixon, brought all of these issues up for me. While the film doesn’t pretend to be a documentary, it does reflect some of these truths. Interviews take preparation. Lots of it. The movie suggests that Frost didn’t get serious about preparing until just before his final encounter with Nixon. That’s apparently not historically accurate. The team of researchers Frost hired worked tirelessly to dig up new information and rehearsed strategies for dealing with what they expected Nixon to say. Good journalism can come from all kinds of sources. Frost wasn’t a journalist and didn’t work for a news organization. He was a well-educated talk show host who put up his own money to produce the Nixon interviews independently. “Serious” journalists thought of him as a lightweight, an attitude that comes through pretty clearly in this piece about the interviews that Mike Wallace did for 60 Minutes. Journalism plays a key role in holding the powerful accountable. The only time Nixon ever came close to admitting his mistakes in office and apologizing to the American people for Watergate was during the interviews with Frost. A couple of other points: There’s no denying that Frost engaged in “checkbook journalism.” He paid Nixon $600,000 for his time. Would the networks have paid to get Nixon on the record? The movie suggests that CBS was ready to part with $350,000 but Frost outbid them. Finally, the movie reminded me of how much times really have changed in TV news. The film opens with a montage of 1970s network news footage–reports on the Watergate break-in, Nixon’s resignation, and Gerald Ford’s decision to pardon his predecessor. All of the reporters and anchors were male and white. And when NBC covered Nixon’s 9 a.m. departure from the White House live, Today Show host Tom Brokaw was on the air. The era of the big-foot anchor was yet to come. Frost/Nixon isn’t the only current film with lessons for journalists. State of Play, which I haven’t seen yet, makes a strong case for the importance of investigative journalism, according to Gina Chen of Save the Media. I won’t advocate some of the “reporting” methods used in the movie that were over the top in my mind. But I do applaud the movie’s depiction of journalists as skeptical, tenacious, and not easily duped. That’s a good lesson for bloggers, journalists — anyone trying to spread information in our evolving media world. Either or both of these movies would be good discussion fodder for any journalism class. 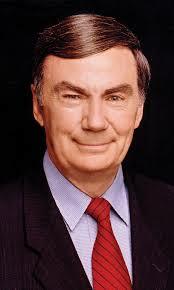 After 41 years at ABC News, Sam Donaldson retired last week. I had the pleasure of competing against him during the 1980s when we both covered the Reagan White House. I shared the CBS News booth with Lesley Stahl and Bill Plante. Sam was next door with Ann Compton and Brit Hume. Sam may be remembered best for shouting questions at President Reagan, which many people thought was rude. The truth is, we all did it. Sam just had the loudest voice. And we had to shout for a couple of reasons. First, Ronald Reagan held so few news conferences that the only chance we really had to question him was as he came or went from the White House and outside events. But he often didn’t want to talk, so the staff would make sure that Marine One, the Presidential helicopter, kept its engines running while parked. That meant it was noisy on the South Lawn, so the only way to get Mr. Reagan’s attention was to yell at the top of our lungs. Didn’t always work, of course. He’d cup his ear as if he couldn’t hear us and just keep walking. When Sam yelled, we knew for sure the President was just faking deafness. Tourists waiting in line outside the White House could probably hear Sam just fine. Sam Donaldson: Mr. President, Senator Helms has been saying on the Senate floor that Martin Luther King, Jr., had Communist associations, was a Communist sympathizer. Do you agree? Ronald Reagan: We’ll know in about 35 years, won’t we? No, I don’t fault Senator Helms’ sincerity with regard to wanting the records opened up. I think that he’s motivated by a feeling that if we’re going to have a national holiday named for any American, when it’s only been named for one American in all our history up until this time, that he feels we should know everything there is to know about an individual. Here’s something else you need to know about Sam. He’s a big-hearted soul who’s fun to be around. Yes, we were competitors and nobody was more determined to beat the other guy than Sam. But he could also be compassionate and generous. He’s one of a kind. Following the recent fatal shooting of Russian reporter Anastasia Baburova, who worked for Russia’s liberal opposition newspaper Novaya Gazeta, the paper’s management announced last week it had appealed to Russian authorities to allow its journalists to carry weapons. News organizations in Mexico and Iraq have made similar requests recently, but it’s not a new issue. This AJR report a few years ago looked at threats against journalists in the Philippines. So should some journalists, in some situations, be armed? No, says Ron Steinman, former NBC bureau chief in Saigon during the Vietnam War. Wearing a gun, he says, does not protect you from harm, it causes harm. When reporters carry a weapon, forget the argument of how the subject of your story looks at you when they see you armed. It changes how you cover news. Reporters never want to be part of the story. When you carry you have become a different person. Sounds about right to me. What about you?